Alt-Country, Singer/Songwriter, performing real songs about life experiences. Georgie’s smooth vocal lines and expressive and emotional delivery, leaves audiences captivated. Completing a Music Degree from the University of Calgary, studying classical guitar and performing as a Jazz vocalist, Georgie found her niche in music when she combined elements of these genres with her early love of country and blues music. Georgie has developed her skills as a musician by playing numerous venues as both a soloist and in small and large ensembles. She has performed in a variety of settings including festivals and concerts. She recorded her debut album “Since You Came Along,” in Nashville Tennessee at The Tracking Room. She wrote and co-wrote the album with producer and songwriter Ron McNeill. The album has been well received by peers and audience members alike. In 2013 Ron McNeill and Georgie teamed up again bringing their Canadian country and roots music to the world stage. Together they wrote the feature song “Let it Burn”, for the Movie “For the Love Of The Children”. The song was performed by Ron McNeill and the Calgary Arts Academy Children’s choir, under the direction of Georgie Lyons. The movie was premiered at The Monaco International Film Festival, winning Best Feature Documentary and Best Picture. 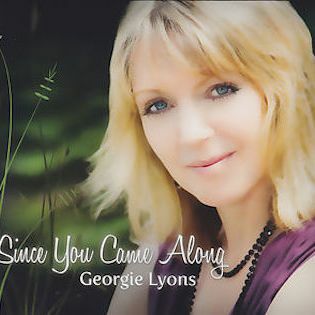 While working on writings songs for her next album, Georgie has also been featured in a duet with singer/songwriter Darren Crone, on his single “ The Places We Will Go”. The single was released to radio September 2018. Georgie is a versatile musician who has written and performed in a variety of genres. She also performs with the country rock band “The Wildrose Band”.